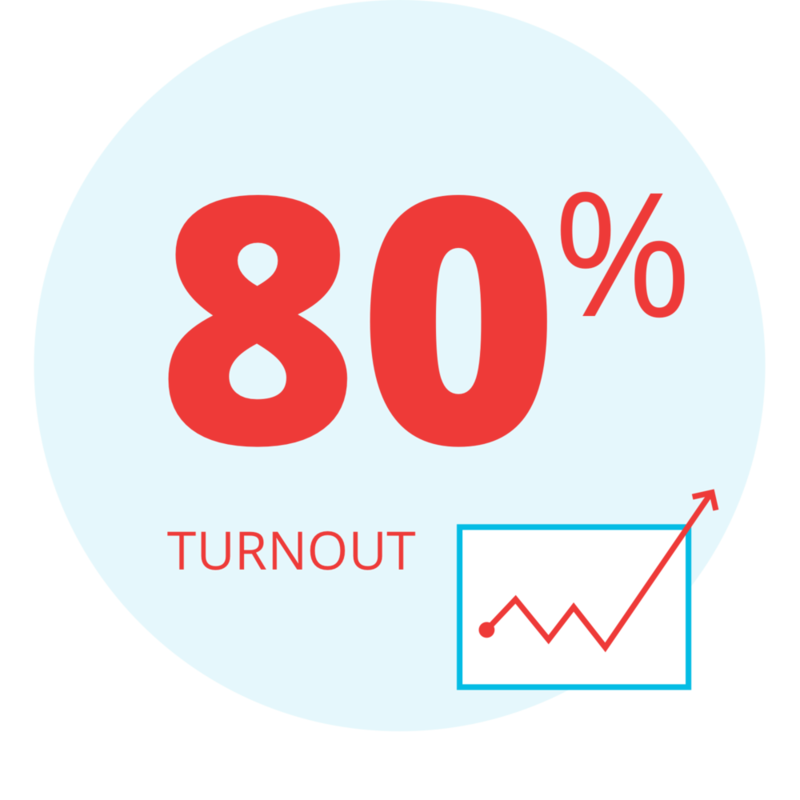 Our moonshot goal of 80 percent voter turnout would put the U.S. on par with other mature democracies like Israel, Belgium, and South Korea. Join a coalition of more than 40 leading organizations, with tens of thousands of employees and unparalleled reach. TVC partners have engaged millions of consumers via unique voter engagement campaigns nationwide.